Our tournaments feature over 600 groups at 85+ events worldwide. Find the next show near you and join us for an aca-mazing time! 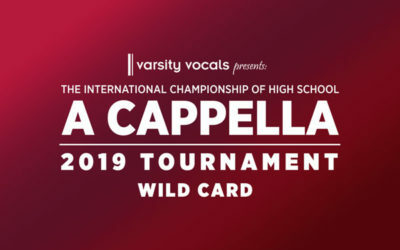 2019 ICCA and ICHSA Tickets are On Sale Now! Don’t miss your chance to cheer on your favorite group on a stage near you! Buy your tickets today! For over 20 years, we’ve compiled the best tracks in student a cappella to make the ultimate a cappella mix tapes. Check out the big winners so far this season, and learn about the history of past ICCA, ICHSA, and Open Champions! Millions of people saw the true story of our ICCA tournament in the hit movie Pitch Perfect (and the follow-up story in the sequels, Pitch Perfect 2 and Pitch Perfect 3) — now the highest-grossing music comedy film series ever! The ICCA is also featured in the POP TV docu-series Sing It On. Music is our life. It’s what drives us; it’s what heals us. cherish every moment of that process. It is the most fulfilling and rewarding experience you can ever have. Does your group have what it takes? Apply today! Each year is more exciting than the last, so be sure to apply early. Be sure to check out our rules & deadlines, and then audition and apply today!